However, bikers should use extreme caution when riding on “The Trace.” The combination of the narrow roadway and the scenic views make for a dangerous and sometimes deadly combination. Often drivers of motorcycles, cars and RVs are not always looking where they are going, or are driving when fatigued or distracted by a cell phone. There have been several serious injuries and some deaths due to these factors along The Natchez Trace Parkway. Natchez trace is narrow, offers no bike lane and people on “The Trace” are not always using good judgment and occasionally hit these bikers. If you are in Mississippi and you are riding on Mississippi roads, by law, you have the right of way, and new laws have been passed in our state giving bikes a three-foot cushion. However, you should use extra caution as some drivers do not understand that. 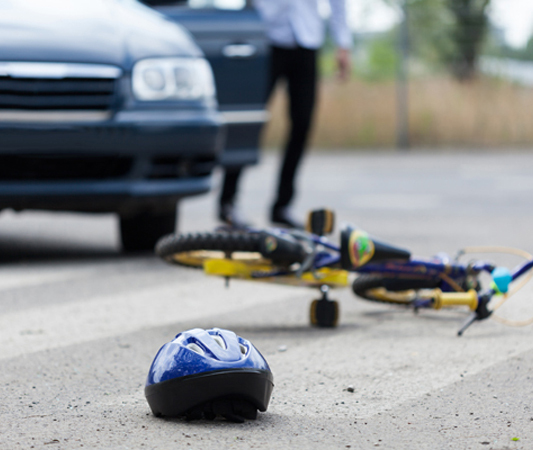 Many of the accidents involving bicyclists are a result of bad judgment used by drivers. Pedestrians also have the right of way while hiking or walking “The Trace.” Many people are hurt, severely injured or even killed while enjoying the park. Although people are encouraged to stay within the hiking trails away from the roadway, many people will stop to walk certain parts of the roadway especially around areas near the reservoir. It is advised that all bicyclists, pedestrians and motorcyclists use extreme caution when enjoying The Natchez Trace Parkway. It is also advised that you wear all the necessary protective equipment such as helmets, eye wear, and padding. To make yourself more visible at a greater distance, you should also wear bright colored and reflective jackets to increase your visibility. For increased safety, the speed limit on the Natchez Trace is 50 MPH or less in some areas and 18 wheelers are not allowed to travel along this parkway.Many drivers do not understand the rules of the road and lack of regard for bikers as a traveler on the roads. When impatient drivers make improper passes, that is when tragic deaths or serious injuries insure. In some cases, drivers who caused serious accidents were found to have been driving impaired by alcohol. Giddens Law Firm, P.A. has built an strong reputation in Jackson, Mississippi and the entire State of Mississippi for relentlessly preparing for trial, investigating each case as if it were our own, and use of cutting edge technology in the courtroom which results in many significant jury awards and verdicts. Our firm is currently working with a special bicyclist accident reconstructionalist and this insight has provided critical evidence at trial that the bike was visible before the accident but it was in fact the driver of the car which caused the wreck with the cycle. Unlike many law firms, the Giddens, Law Firm, P.A. limit their legal representation to only a few serious personal injury cases and death claims per year. This is enables their legal experts to focus the most time and resources on each case in order to yield the best possible results for their clients. Time is often not on your side, it is imperative you take immediate action as soon as you can, so please call us today to speak with a Mississippi personal injury attorney for a free legal consultation and case analysis toll-free at 1-888-335-2022.